Add a finishing touch to your kitchen or bathroom decor with the Liberty Rustique 1-1/2 in. 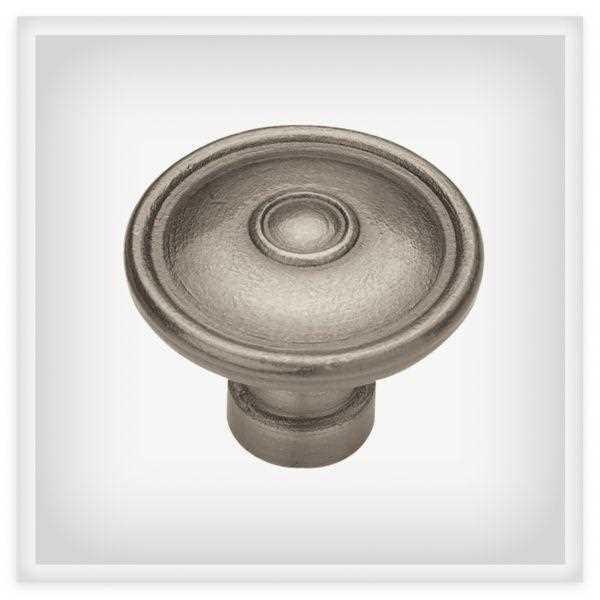 Antique Pewter Ringed Cabinet Knob. The knob features sturdy metal construction and a beautiful antique pewter finish. Update your cabinets or furniture with this knob.